St. Alban's Episcopal Church: What's in a Name? I’m not saying that Chris Eby smells sweet, but he does have a new name. We will now call him Sexton. 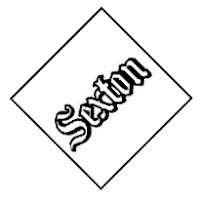 Wikipedia says that, “A sexton is a church, congregation, or synagogue officer charged with the maintenance of its buildings and/or the surrounding graveyard” (in our case, grounds). Our Junior Warden suggested the title, after Chris volunteered to help out with various projects around St. Alban's. Chris accepted the job, but was not too sure about the title. Let’s use it anyway!